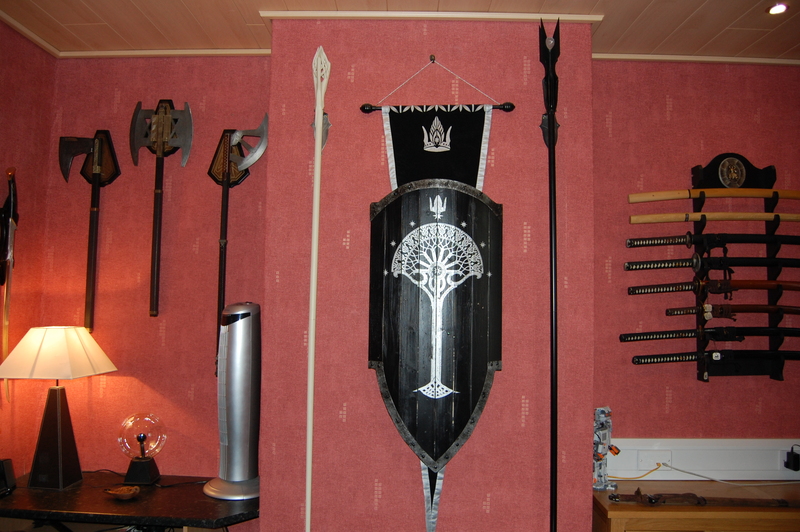 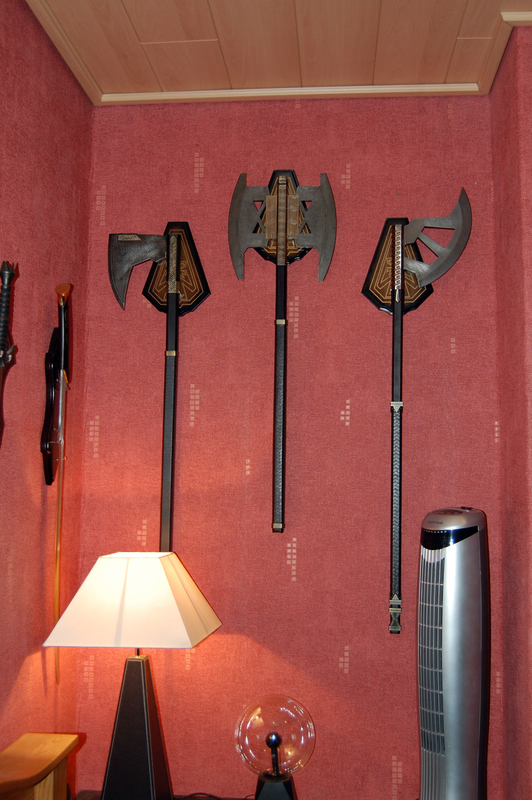 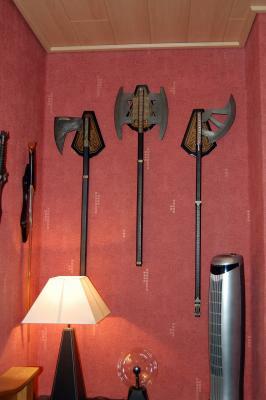 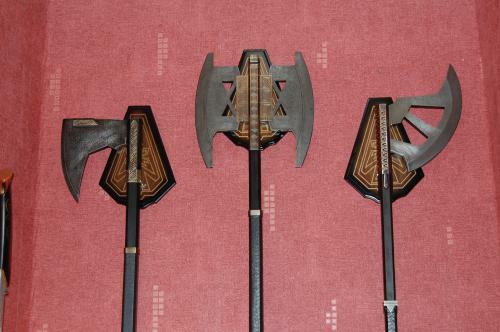 On the left we have all 3 of gimlis axes from LOTR, on the chimney breast we have the staff of Gandalf the white, and Saruman + the shield of gondor, and finally on the right my kats. 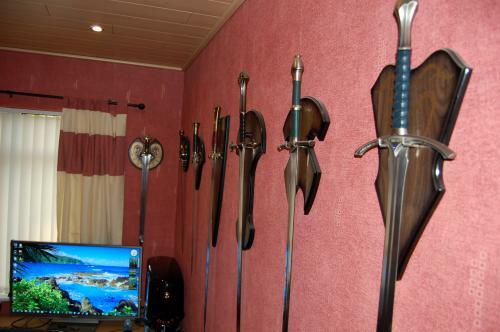 looks more like earth red to me? the blade master wrote: looks more like earth red to me? 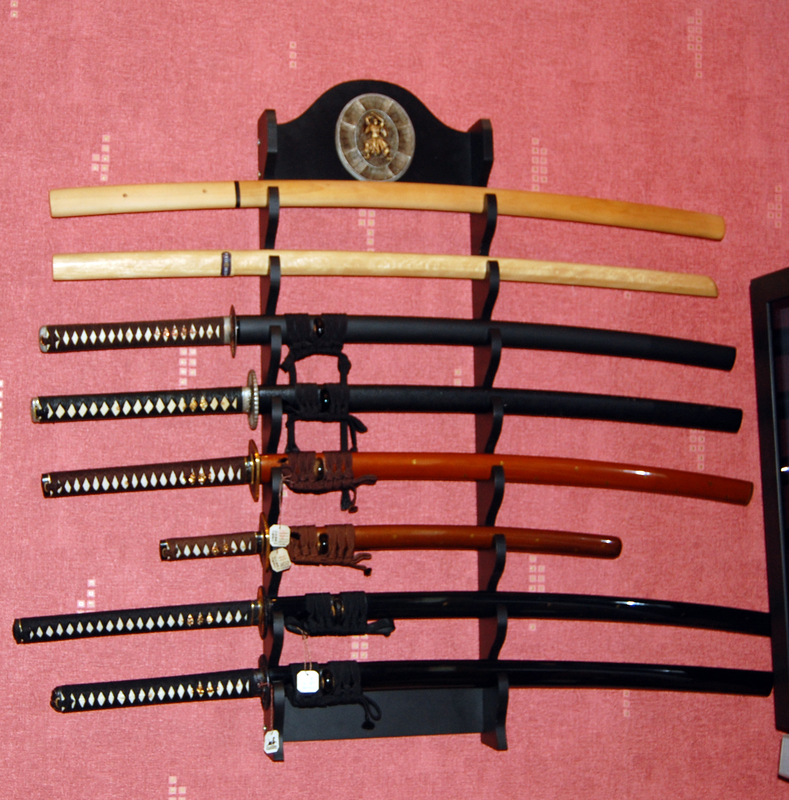 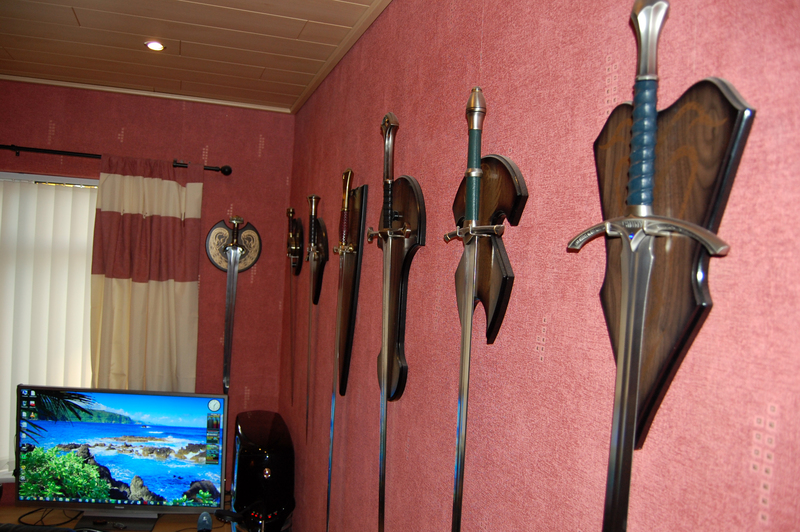 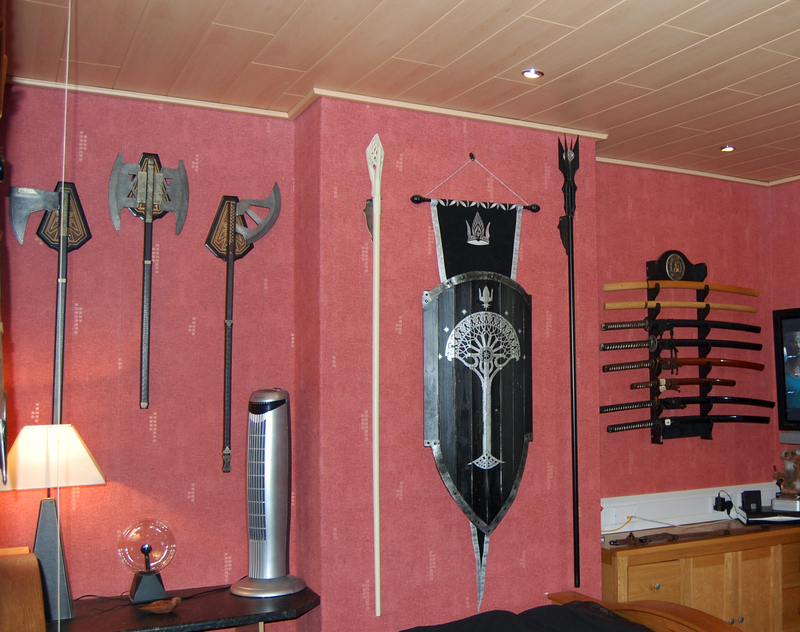 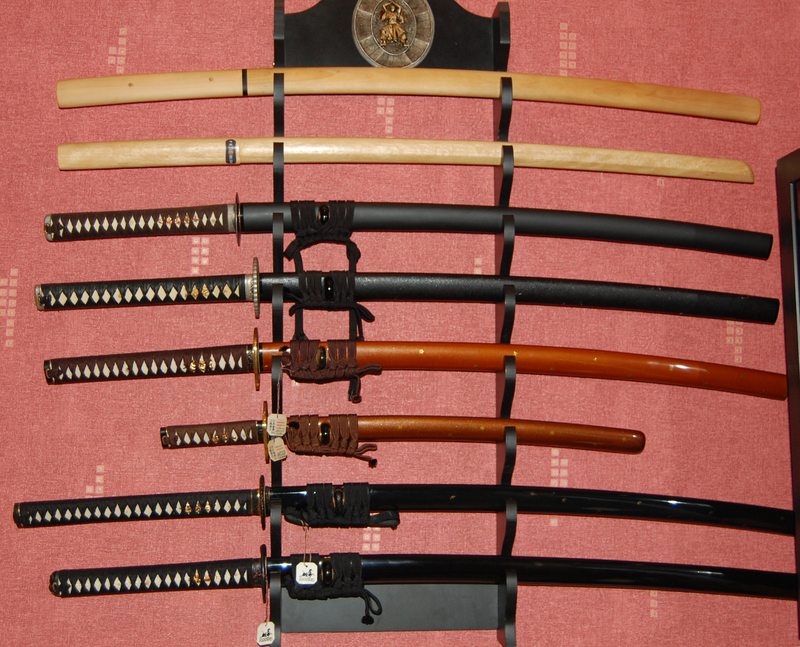 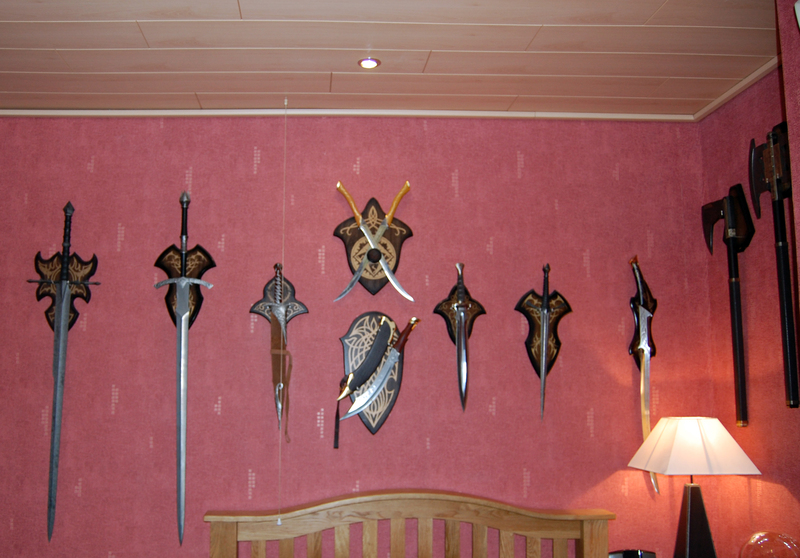 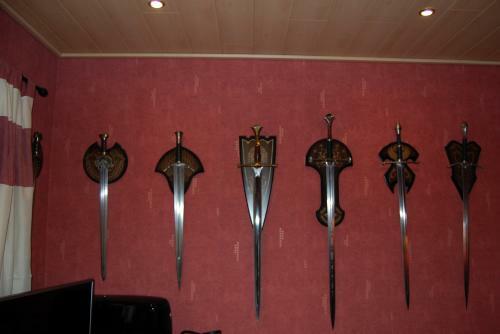 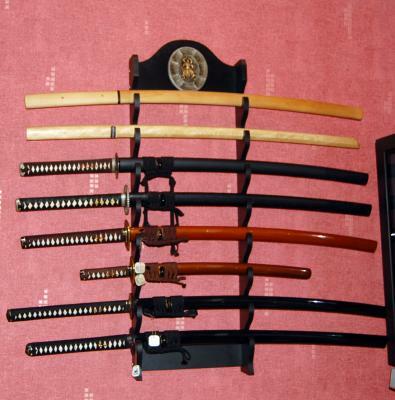 I've got a pretty sweet insurance policy through the local housing office (less than £2 per week, £10K cover with New for old) but I know for sure it wont cover swords. Whats the best way of getting insurance for them guys?